BC Beroe lost a secong game in a row in Bulgarian league by a single point. The Greens visited the last place Cherno more and despite leading by 17 points, eventually lost 97-98. Beroe had a good start of the second quarter to go up by 15 points at the break. The hosts though came back after it to cut the deficit to just 4 after 30 minutes and in the last quarter tied the score. With 9 seconds to go they even took the lead and after the visitors missed twice, Cherno more celebrated. Aleksandar Yanev finished with 30 points and 11 rebounds for Beroe as Tihomir Zhelev added 19 points. Academic Bultex 99 was also unpleasantly surprised in this round after losing 73-82 away to Yambol. It was a close game for three quarter as the hosts led by just 2 points. In the final quarter Academic took a point lead but in the last minutes the hosts took their chances and won the game. Mladen Vitkovic and Peter Olisemeka had 15 points apiece for the visitors as Vasil Bachev added 14. 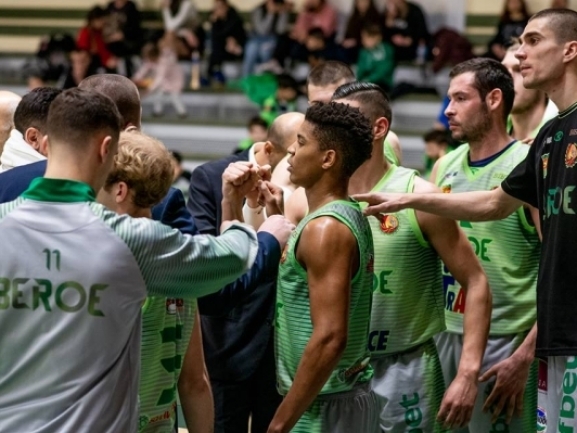 Beroe is second in the standings with 11 wins and 4 defeats so far while Academic comes 5th with 7-8 record.